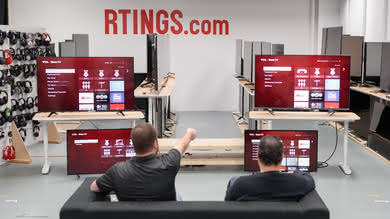 We purchase our own TVs and put them under the same test bench, so that you can compare the results easily. No cherry-picked units sent by brands. What it is: General purpose. The TV will be used for a variety of content and usages. Movies at night, TV shows during the day, video games from time to time, etc. Automatically updated every hour based on the scores and prices of all other products we've tested. What it is: Movies in the dark. The TV will be used for watching movies in a controlled environment, directly in front, in a home theater way. Mostly only high quality content, like Blu-rays, UHD Blu-rays, streaming and a little bit of HDR. What it is: TV Shows in a bright living room. The TV will be used in to watch TV shows, in a bright room during the day, from multiple viewing positions at different angles. The content watched has an average quality: cable, streaming, SD channels, etc. What it is: Sports in a living room. 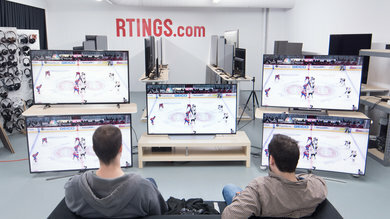 The TV will be used to watch sports during the day, like football or hockey. Usually watched with a group, so from multiple viewing position. What it is: Video games. The TV will be used to play video games, directly in front, in a controlled light environment. Usually fast games, like online FPS, where motion blur and input lag is important. What it is: HDR Movies and TV shows. The TV will be used to watch 4k UHD HDR content, with a wide color gamut and a high peak brightness. Either via UHD Blu-rays or HDR streaming. What it is: HDR Gaming. 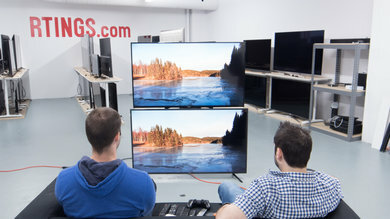 The TV will be used to play HDR video games using consoles that support it or on current generation gaming PCs. Xbox One S, PS4 Pro, GTX 10 series and AMD RX series graphics cards. What it is: PC Monitor. 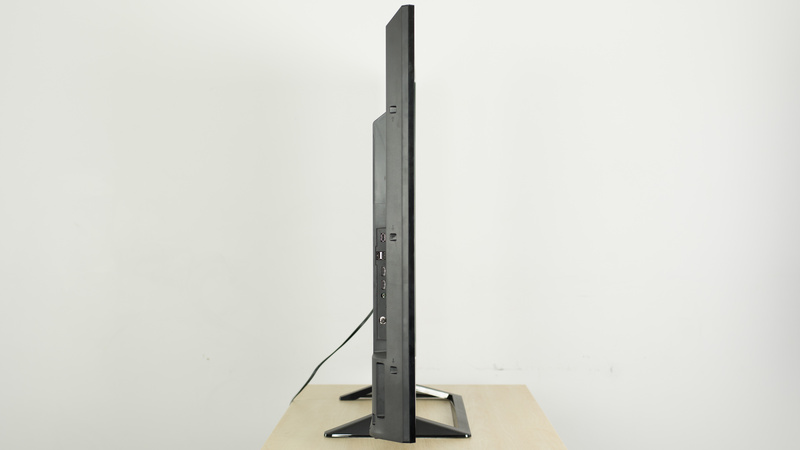 The TV will be used as a PC monitor, from 2-3 feet away, either for productivity purposes or gaming. Sharp text is important, as well as a high resolution. 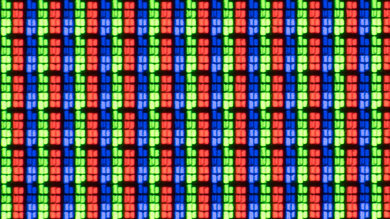 What it is: Type of display technology used by the TV. 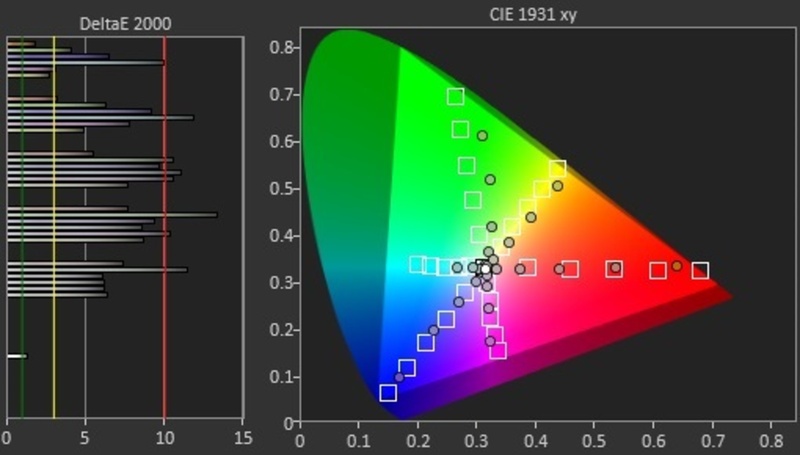 Good value: IPS maintains good color accuracy at an angle, but has a poor contrast ratio from in front. VA has great picture quality in front, but loses saturation at an angle. 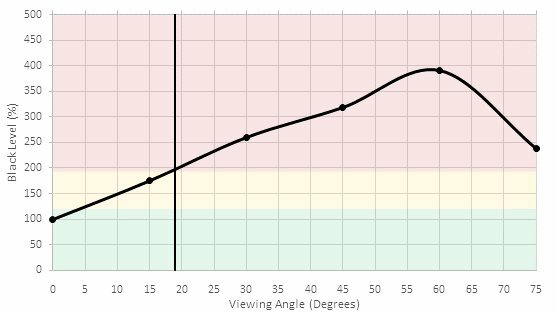 OLED maintains good color accuracy at an angle without any of the other issues seen with IPS and VA, as they keep good brightness and contrast at an angle. 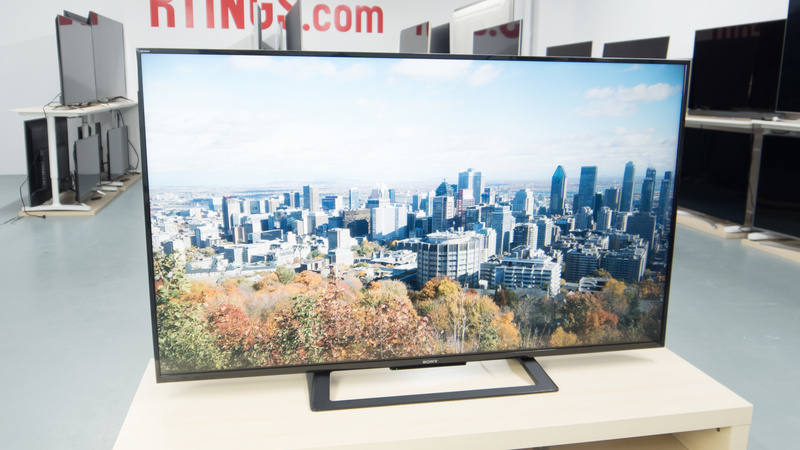 The Sony X690E is a good 4k LED TV with decent picture quality, low input lag and good handling of motion. It's only found in larger sizes, but it's a versatile entry-level TV. Unfortunately, its picture quality deteriorates at an angle, and its limited HDR capabilities stop the feature from having much of an effect on picture quality. Update 3/12/2018: Converted to Test Bench 1.2. 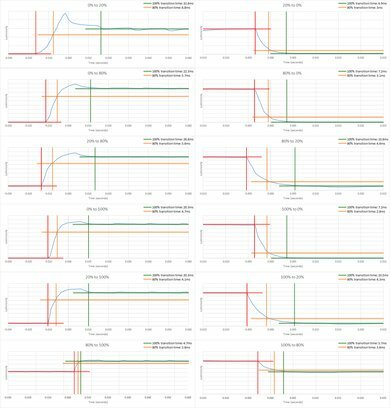 Learn more about our versioned test bench system here. Update 1/23/2018: With the newest firmware update (04.100) the input lag bug no longer occurs, and the input lag is low in 'Game' or 'Graphics' mode after power cycling the TV. The design of the X690E is quite basic but works well. 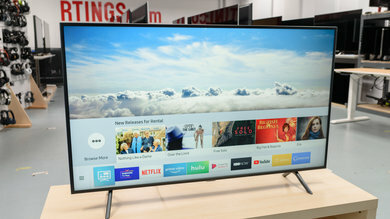 It is similar to most other Sony TVs but feels a bit cheaper as the parts are all made of plastic and the body is relatively thick. 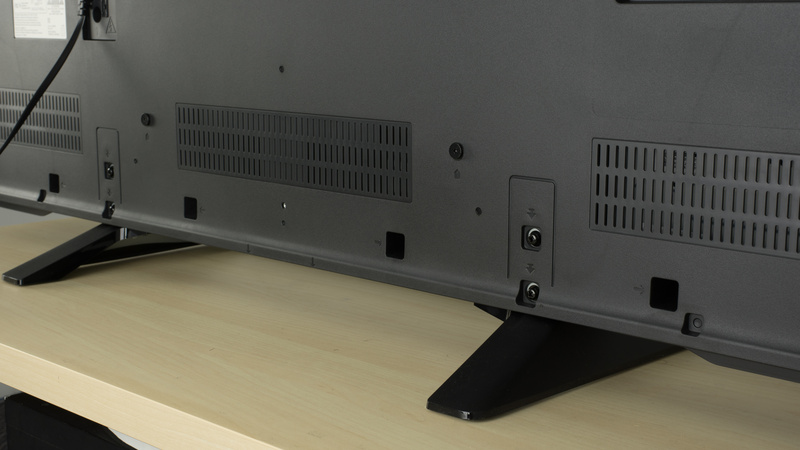 The central stand supports the TV well and many of the inputs are easy to access even if the TV is wall mounted. The central stand is similar to most other Sony TVs. It supports the TV well and feels quite stable. Footprint of the 60" TV stand: 12.0" x 24.9"
The rear of the TV is entirely plastic and is quite basic. Unlike the X720E, there is no channel down the rear of the stand for cable management. Update 04/09/2018: The TV has a VESA 400x300 wall mount. The borders of the X690E have an average thickness. This is the same thickness as the X720E we reviewed. 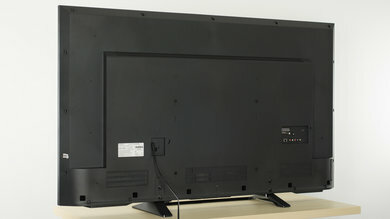 The TV is quite thick when viewed from an angle, so it may stick out from a wall a bit if mounted. What it is: The peak temperature found on the TV. When it matters: If the TV is placed in an enclosed space. What it is: The average temperature measured on the TV. The TV runs fairly cool, partly due to its low brightness. The bottom is lined with vents, and there is a vent midway up the back of the TV to help with cooling. The build quality of the X690E is fine, but all of the plastic parts do feel quite cheap compared to other Sony TVs. It isn't an issue for normal use but does lack a premium feel. 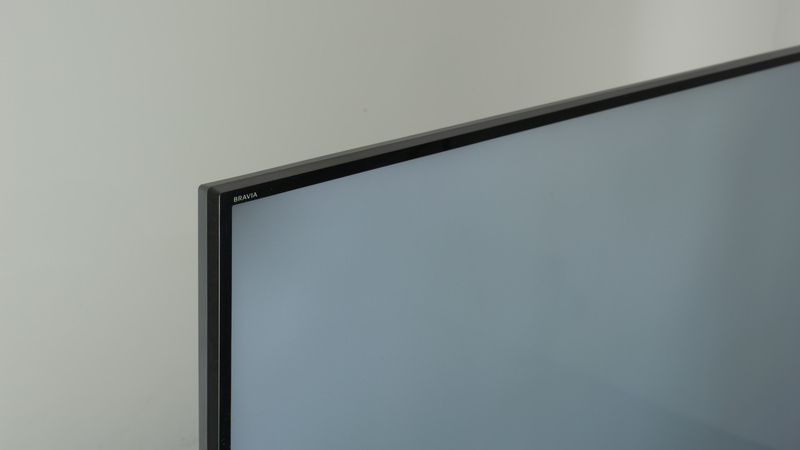 The Sony X690E LED TV has a better than average picture quality. The excellent contrast ratio and black uniformity make for a good dark room performance. Blacks are deep and dark scene reproduction is great, which again is perfect for a dark home theater room. When the TV is set in a very bright living room, the average way it can deal with reflections and okay SDR peak brightness won't be enough to deal with the glare of bright sunny windows but should be enough for a normal living room with moderate lighting. 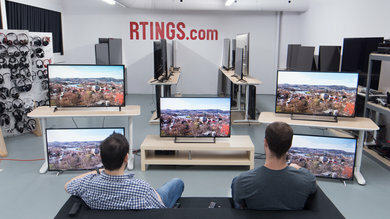 The decent gray uniformity of the X690E is good news for sports fans, as dirty screen effect is not problematic here, but the narrow viewing angle means it won't be the best TV to watch the big game with all your friends, since the best picture quality is reserved mostly for those sitting right in front of the TV. When it comes to HDR, the X690e performance could be better, as the lack of local dimming and disappointing HDR peak brightness won't make highlights pop much more than what you would see on a normal SDR TV. When you add the lack of a wide color gamut and bit depth, it just confirms that this TV won't be the best option to be amazed by HDR content. What it is: Brightness difference between white and black. This is the main component of picture quality. When it matters: Always, but especially when watching dark scenes. 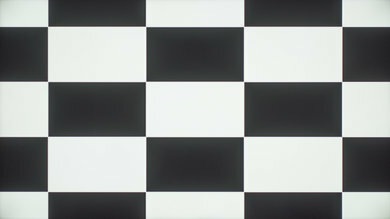 What it is: Ratio of the white brightness divided by the blacks measured on our checkerboard test pattern with a white target of 100 cd/m². When it matters: Dark scenes in a dark room. What it is: Ratio of the white brightness divided by the blacks measured on our checkerboard test pattern with local dimming turned on (maximum) with a white target of 100 cd/m². The Sony X690E has a great native contrast ratio just shy of 4000:1. 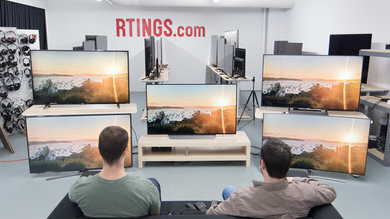 This contrast ratio means that the X690E will be a good option for people with a dark home theater room since blacks look deep and not grayish like on some IPS TVs, and also because it can reproduce dark scenes fairly well without them looking washed out. What it is: The lights behind the LCD layer adapt to the picture displayed, improving the contrast ratio. When it matters: Dark scenes viewed in a dark room. What it is: Whether it has a feature that controls the LEDs behind the LCD layer, to match the picture and darkens the dark portion of it. When it matters: On LED TVs only. Dark scenes viewed in a dark room. What it is: Configuration of the lights of the backlight. When it matters: Effectiveness of the local dimming. Good value: Full-array/direct lighting is better for local dimming. As for the uniformity of the screen, it depends on the implementation. 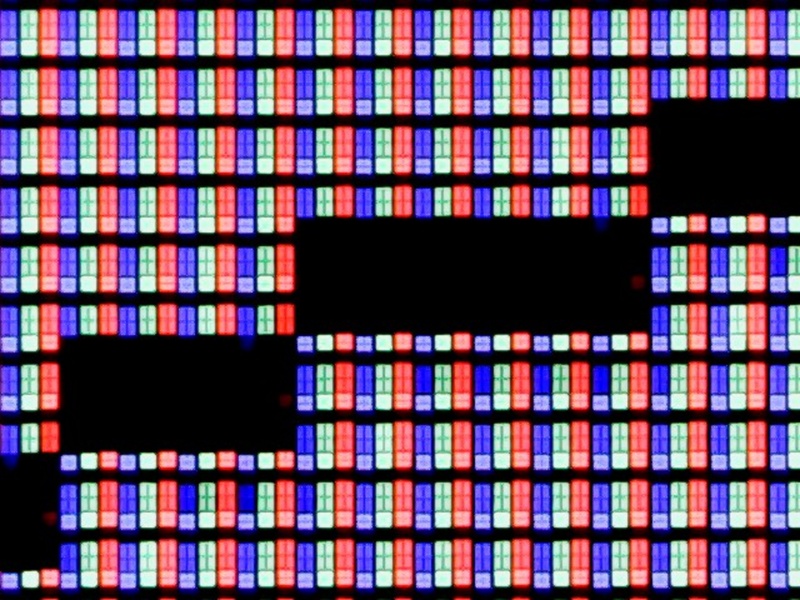 Some edge-lit TVs have more uniform blacks than some full-array TVs.  The Sony X690E does not have a local dimming feature. What it is: How bright the screen can get. Measured with local dimming and with SDR content. 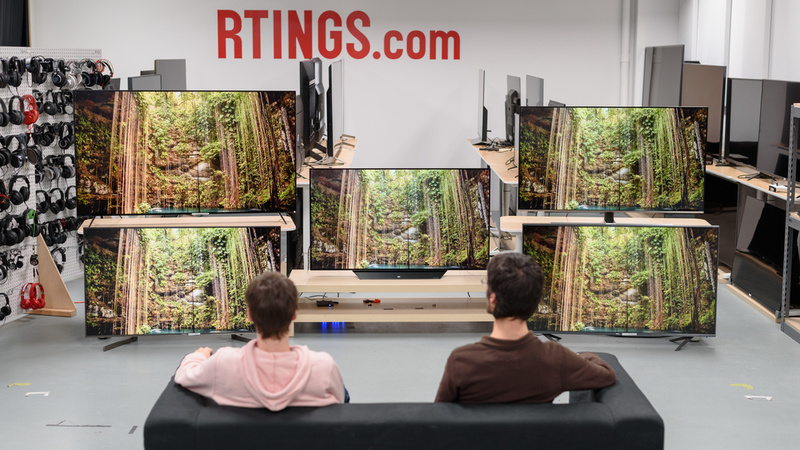 When it matters: Bright living rooms; bright objects; SDR content. What it is: The maximum luminosity the TV can obtain while playing a movie or while watching a TV show. Our Real Scene was selected to represent a more regular movie condition. All measurements are made with the TV set to be as bright as possible, but with a 6500k white. Measured with local dimming on, max backlight and with an SDR signal. Scene: here. When it matters: When watching movies and TV shows in SDR. What it is: The maximum luminosity, even if only maintained for a short time, of a white square covering 2% of the screen, with the TV set to be as bright as possible. Measured with local dimming and over SDR signal. What it is: The maximum luminosity, even if only maintained for a short time, of a white square covering 10% of the screen, with the TV set to be as bright as possible. Measured with local dimming and over SDR signal. What it is: The maximum luminosity, even if only maintained for a short time, of a white square covering 25% of the screen, with the TV set to be as bright as possible. Measured with local dimming and over SDR signal. 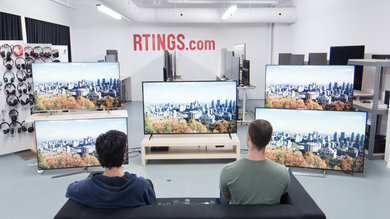 When it matters: When watching in a bright room. What it is: The maximum luminosity, even if only maintained for a short time, of a white square covering 50% of the screen, with the TV set to be as bright as possible. Measured with local dimming and over SDR signal. What it is: The maximum luminosity, even if only maintained for a short time, of a white square covering 100% of the screen, with the TV set to be as bright as possible. Measured with local dimming and over SDR signal. What it is: The lowest maximum luminosity (usually after it has stabilized) of a white square covering 2% of the screen, with the TV set to be as bright as possible. Measured with local dimming and over SDR signal. When it matters: Bright highlights, persistent during a scene. What it is: The lowest maximum luminosity (usually after it has stabilized) of a white square covering 10% of the screen, with the TV set to be as bright as possible. Measured with local dimming and over SDR signal. When it matters: Bright objects, persistent during a scene. What it is: The lowest maximum luminosity (usually after it has stabilized) of a white square covering 25% of the screen, with the TV set to be as bright as possible. Measured with local dimming and over SDR signal. What it is: The lowest maximum luminosity (usually after it has stabilized) of a white square covering 50% of the screen, with the TV set to be as bright as possible. Measured with local dimming and over SDR signal. What it is: The lowest maximum luminosity (usually after it has stabilized) of a white square covering 100% of the screen, with the TV set to be as bright as possible. Measured with local dimming and over SDR signal. Decent SDR peak brightness. The brightness remains very consistent no matter the scene shown, which is great, but the TV isn't bright enough for a very bright room. The brightness is better than the TCL S405 and Vizio E Series 2017, but not as good as the Sony X720E and Vizio M Series 2017. What it is: How bright the screen can get. Measured with local dimming and over HDR signal (if supported). When it matters: Bright living rooms; bright objects; HDR content. What it is: The maximum luminosity the TV can obtain while playing a movie or while watching a TV show. This scene was selected to represent a more realistic movie condition. All measurement are made with the TV set to be as bright as possible, but with a 6500k white. Measured with local dimming, max backlight and over HDR signal. Scene: here. When it matters: When watching movies or watching TV show in HDR. What it is: The maximum luminosity, even if only maintained for a short time, of a white square covering 2% of the screen, with the TV set to be as bright as possible. Measured with local dimming and over HDR signal (if supported). When it matters: Bright highlights, present on screen for a short time; especially for HDR content. What it is: The maximum luminosity, even if only maintained for a short time, of a white square covering 10% of the screen, with the TV set to be as bright as possible. Measured with local dimming and over HDR signal (if supported). When it matters: Bright objects, present on screen for a short time; especially for HDR content. What it is: The maximum luminosity, even if only maintained for a short time, of a white square covering 25% of the screen, with the TV set to be as bright as possible. Measured with local dimming and over HDR signal (if supported). When it matters: Bright rooms; bright objects in HDR video. What it is: The maximum luminosity, even if only maintained for a short time, of a white square covering 50% of the screen, with the TV set to be as bright as possible. Measured with local dimming and over HDR signal (if supported). When it matters: Bright rooms. What it is: The maximum luminosity, even if only maintained for a short time, of a white square covering 100% of the screen, with the TV set to be as bright as possible. Measured with local dimming and over HDR signal (if supported). 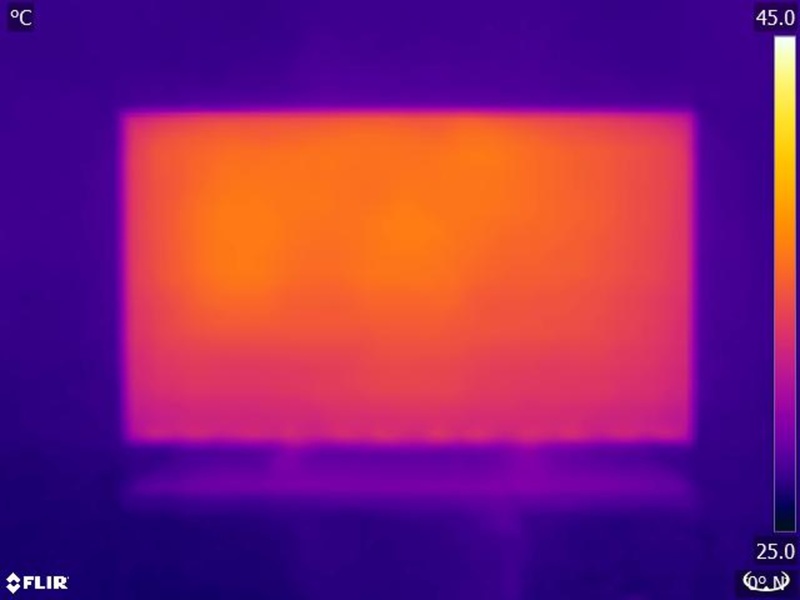 What it is: The lowest maximum luminosity (usually after it has stabilized) of a white square covering 2% of the screen, with the TV set to be as bright as possible. Measured with local dimming and over HDR signal (if supported). When it matters: Bright highlights, persistent throughout a scene; especially for HDR content. What it is: The lowest maximum luminosity (usually after it has stabilized) of a white square covering 10% of the screen, with the TV set to be as bright as possible. Measured with local dimming and over HDR signal (if supported). When it matters: Bright objects, persistent throughout a scene; especially for HDR content. What it is: The lowest maximum luminosity (usually after it has stabilized) of a white square covering 25% of the screen, with the TV set to be as bright as possible. Measured with local dimming and over HDR signal (if supported). What it is: The lowest maximum luminosity (usually after it has stabilized) of a white square covering 50% of the screen, with the TV set to be as bright as possible. Measured with local dimming and over HDR signal (if supported). What it is: The lowest maximum luminosity (usually after it has stabilized) of a white square covering 100% of the screen, with the TV set to be as bright as possible. Measured with local dimming and over HDR signal (if supported). Disappointing HDR peak brightness. Even though the HDR brightness is essentially the same as in SDR, HDR demands much higher brightness because highlights are mastered at 1000 or 4000 cd/m², much higher than the TV can produce. 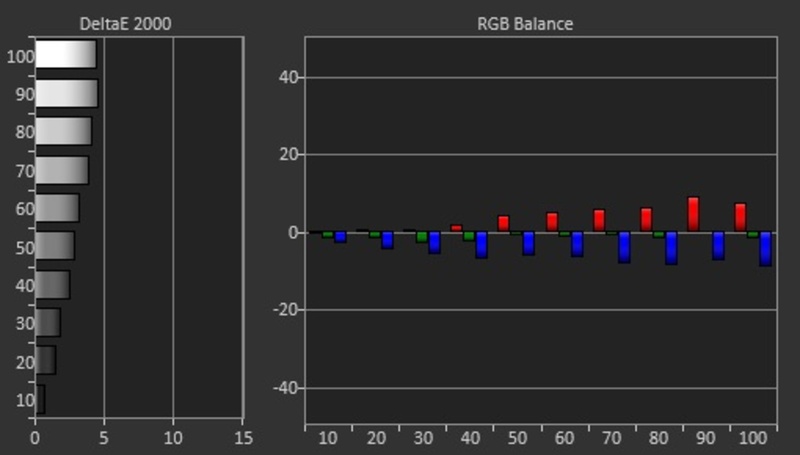 However, the average brightness of HDR scenes is usually 100 cd/m², so most of the scene will be shown accurately. This brightness is better than the rival TCL S405 and Vizio E Series 2017, but not as good as the Sony X720E and much less than the pricier Vizio M Series 2017. What it is: Evenness of colors onscreen (not just gray). When it matters: Solid colors. Sports, panning shots. What it is: Average squared difference of pixels when displaying a mid 50% gray. What it is: Dirty Screen Effect. 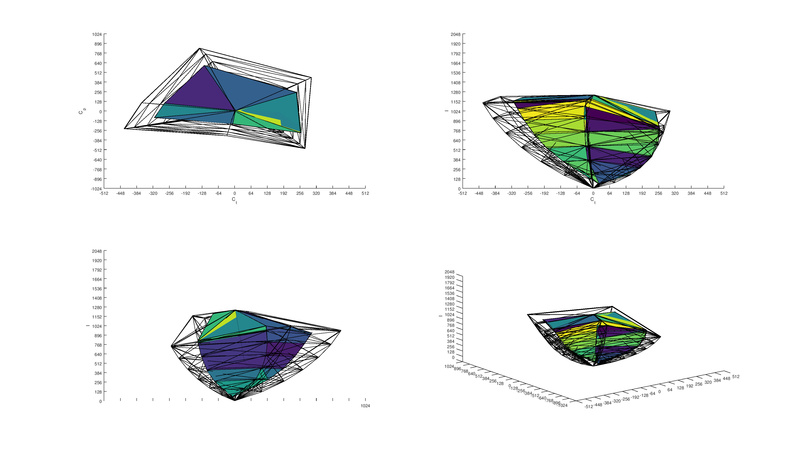 High-frequency variance of uniformity. Dark spots on the screen. What it is: Average squared difference of pixels when displaying a mid 5% gray. When it matters: Dark scenes. The X690E has a decent overall gray uniformity. Looking at the 50% gray uniformity test picture, we can see that the 4 corners and sides look a bit darker than the center of the screen, and we can also notice a warmer patch in the lower left corner of the screen. Besides those 2 issues, the rest of the screen is fairly even and dirty screen effect was not problematic at all when watching our sports clip, on which we can clearly spot DSE when it is present. On our 5% gray test picture, we can see some darker vertical bands, but those were very hard to notice while watching some normal content since it is very rare that you will have a scene in a movie with a dark uniform background. 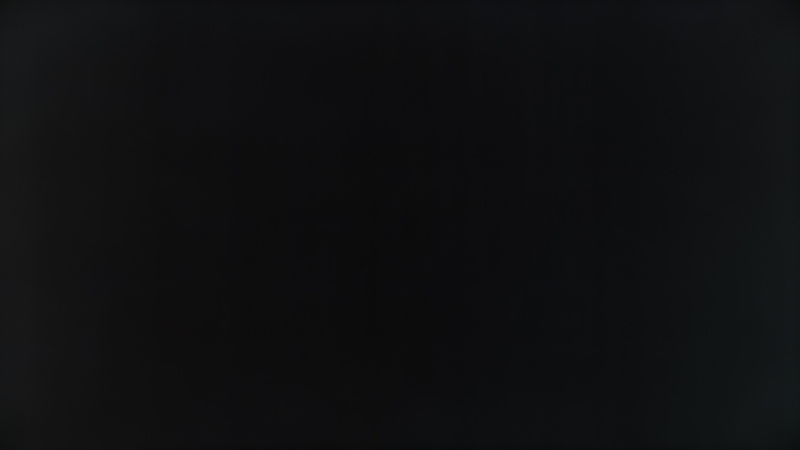 On the test image, we can also notice that both sides are a bit brighter, but this is mostly due to the viewing angle being very narrow and reducing the visible black level. What it is: Color accuracy when viewed from the side. When it matters: Large living rooms with multiple viewing positions. What it is: Angle where the colors noticeable shift compared to when viewed from directly in front of the TV. 0 ° means directly facing the TV. Measurements are up to a maximum of 75 °. 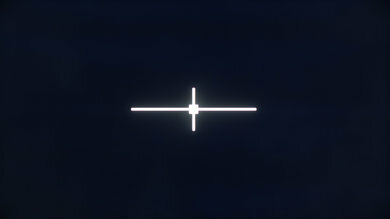 What it is: Angle where the brightness drops to 50% of the brightness directly in front of the TV. 0 ° means directly facing the TV. Measurements are up to a maximum of 75 °. What it is: Angle where the black level drops to 50% of the black level directly in front of the TV. 0 ° means directly facing the TV. Measurements are up to a maximum of 75 °. Poor viewing angle, but fairly typical for a TV with a VA panel. 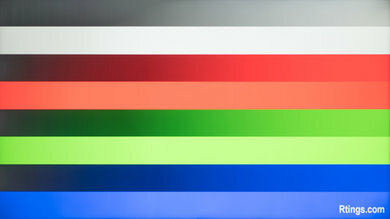 Blacks turn gray and colors shift when the TV is viewed from even a small angle, while brightness decreases not long after. This TV is not well suited for a room where people often sit to the side of the TV and view it at an angle. What it is: Evenness of blacks. 25% Std. Dev. w/ L.D. What it is: Average of the squared difference of the blacks. Noticeable difference: 1%, but keep in mind that it varies a lot by unit, even of the same model; yours likely will not end up exactly like ours. 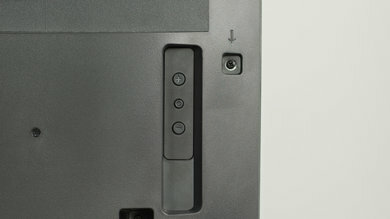 The Sony X690E has an excellent black uniformity. 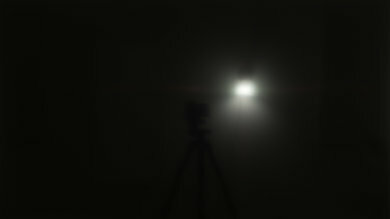 While displaying our test image, the screen is very even and no major clouding or flashlighting can be noticed. This is a great result and this will help greatly the X690E to display dark scenes in movies. Note that while looking at this picture, the black level is not taken into account, but the whole evenness of the screen. What it is: How much light is reflected by the TV.  What it is: Type of coating on the screen. When it matters: Bright objects in the direct reflection path (for example, opposite the TV). Good value: Glossy is good for ambient light, but not for direct reflections. What it is: The amount of light which is reflected off the screen, in all directions. When it matters: When watching TV in a bright room, with lamps, windows or walls which reflect directly off the screen. The reflection handling of the X690E is fine. It has a semi-gloss finish which diffuses reflections across the screen, reducing their intensity. It is fine for most rooms, but in a bright room, the high reflection value is an issue. What it is: TV's color accuracy before a full calibration. 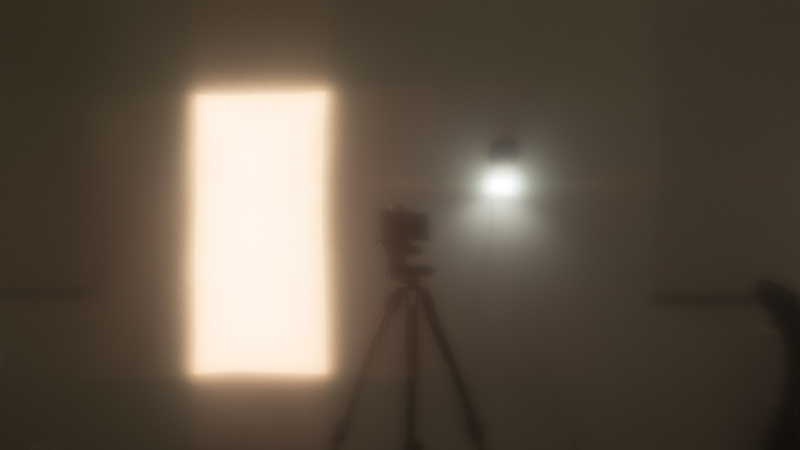 Only the picture mode, color temperature, and backlight level were changed. 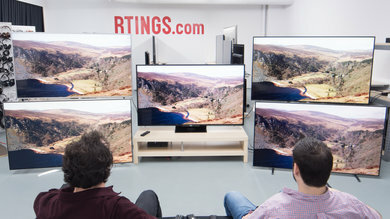 When it matters: All video on an uncalibrated TV. This represents most people's use cases. What it is: The picture mode used to do the 'Pre Calibration' measurements. What it is: Average inaccuracy of shades of gray. 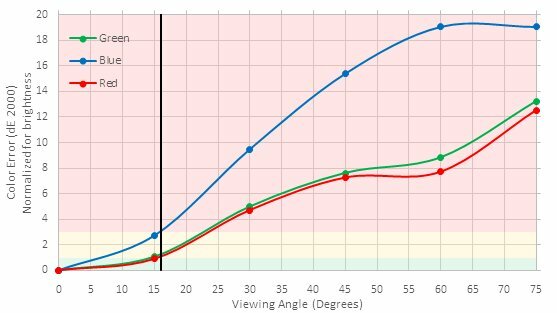 When it matters: Overall color temperature of all video. What it is: Average inaccuracy of colors. When it matters: All colors. What it is: Brightness of shades of gray. What it is: The color temperature is a measure of the color of light. A colder color temperature (7000K) will look bluer and a warmer color temperature (4000K) will look yellower/redder. 6500K is the standard color temperature use in the TV and film industry as program, film, and photography directors usually work on monitors calibrated on the 6500k color temperature and do their color correction base on what they see on those monitors. 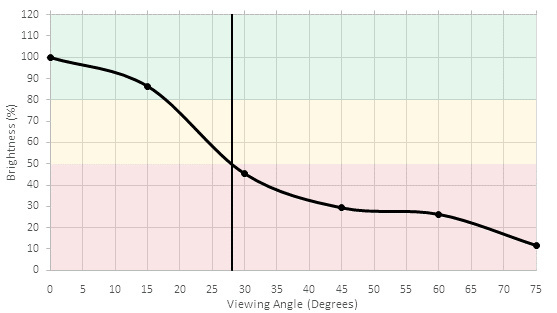 When it matters: To get the most accurate picture when watching TV shows, movies or video games. This is particularly for skin tones. Out of the box, when set on the 'General' scene select and on the 'Custom' picture mode, the Sony X690E has a better than average accuracy. 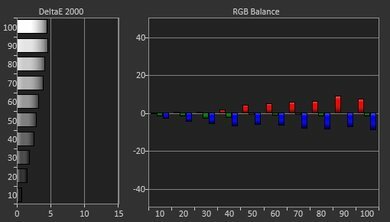 The white balance is a bit on the warm side and the white balance dE is on the limit where it begins to be noticeable by enthusiasts. The color accuracy is also not bad, as the dE is also just hovering over the limit where it begins to be noticeable to enthusiasts. 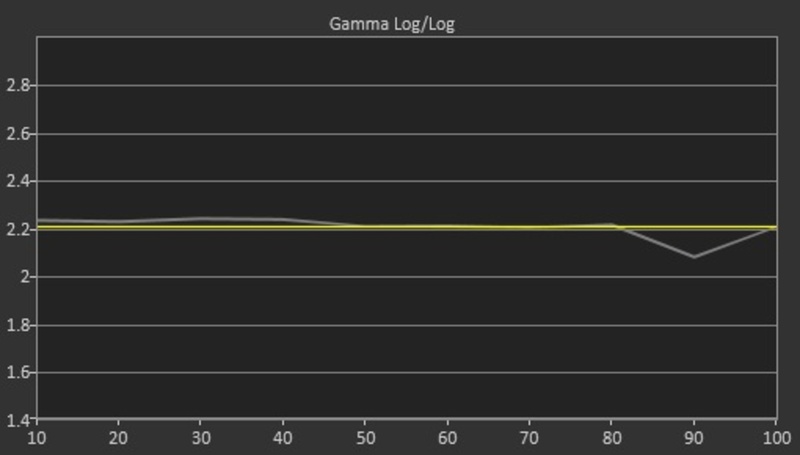 The gamma is right on our target of 2.2, with only a small dip in the lighter shade, but this is really not a problem. 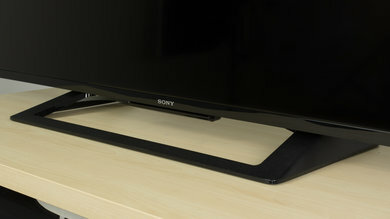 For most people, the Sony X690E could be used without calibration, as with most Sony TVs in general, which tend to be very accurate. What it is: TV's color accuracy after a full calibration with a spectrophotometer. When it matters: All video on a TV that has been professionally calibrated. This isn't that useful, because most TVs can achieve a pretty good calibration if you spend enough time on them. What it is: The picture mode used to do the calibration. We usually go for the picture mode that gives us the more control over all the picture quality setting. 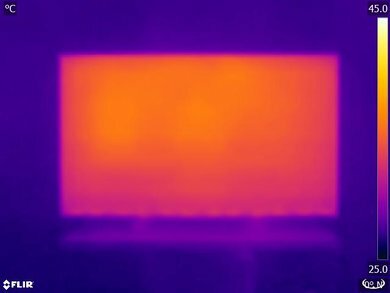 When it matters: Overall color temperature of all videos. After calibration, the X690E accuracy is excellent. 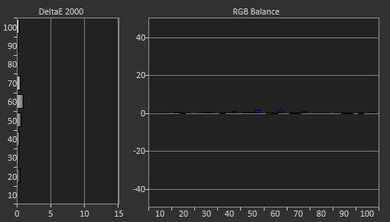 The white balance dE was brought down to a negligible 0.38, and the little dip in the gamma was flattened and all this due to the 10 point white balance calibration provided by Sony. Note that the 10 points calibration was a bit harder than on other TVs though, as each IRE point was not well defined, as they would affect sometimes up to 2 adjacent IRE points, making the whole procedure long and tedious. 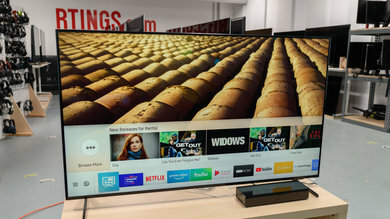 As with most Sony TVs, the X690E did not provide a color management system, and the only possible correction to the color accuracy was done via the correction applied to the white balance. The correction of the white point did help to fix some of the inaccuracy, as the color dE did shrink a bit, but some color, like the blue, did retain a high level of inaccuracy. In the end, this is still a very good result. What it is: Quality of a 480p input. When it matters: Standard definition TV, DVDs. Upscaling of low-quality content is good. The image isn't too soft and details are preserved. What it is: Quality of a 720p input. When it matters: HD channels, some streaming videos. With a 720p input such as cable the upscaling is good, and jagged edges are smoothed well without much detail loss. What it is: Quality of a 1080p input. When it matters: Blu-rays, streaming video, video files, video games. Full-HD content such as Blu-rays are upscaled well. The image is sharp and detailed. What it is: Quality of a 4k UHD input. When it matters: Streaming video, UHD Blu-rays, some PCs. No issues can be seen with native 4k content such as UHD Blu-rays. What it is: How many colors the TV can display. When it matters: HDR content. Includes some streaming videos and UHD Blu-rays. What it is: Whether the TV has an option to enable wide color gamuts. What it is: Coverage of the DCI P3 colorspace on CIE 1931 xy. When it matters: DCI P3 content. Includes HDR, UHD Blu-rays. What it is: Coverage of the DCI P3 colorspace on CIE 1976 u' v'. What it is: Coverage of the Rec.2020 colorspace on CIE 1931 xy. When it matters: Rec.2020 content. Includes HDR, UHD Blu-rays. What it is: Coverage of the Rec.2020 colorspace on CIE 1976 u' v'. 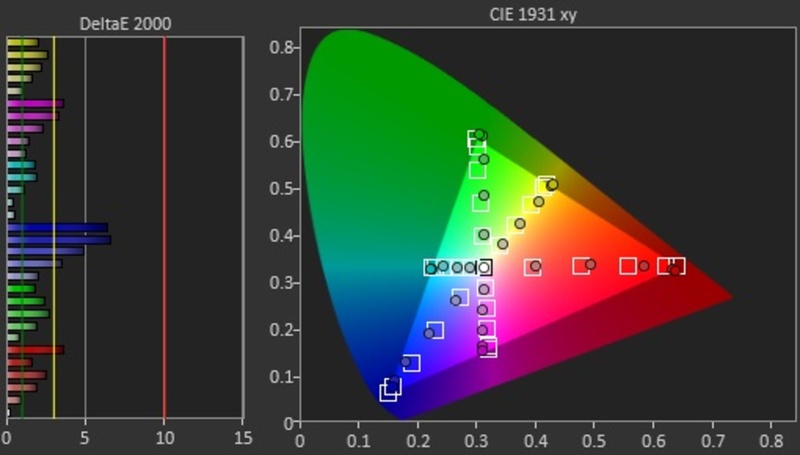 Standard color gamut. Only good enough for SDR content using the Rec 709 color space. Deep colors in HDR content will be shown less saturated than intended, but most colors in a scene will be shown fairly well. The TV's color accuracy struggles when showing very bright DCI P3 colors; the same test done at a lower brightness (50% stimulus as opposed to 75%) shows far better color accuracy, because the TV can more easily reach this brightness. 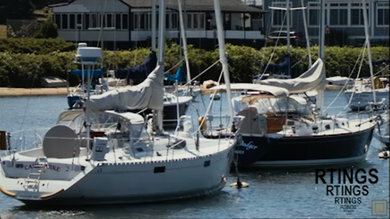 HDR content is only shown properly in the HDR 'Scene Select' (or 'Auto'); it is the only mode that uses the HDR PQ curve instead of the SDR gamma curve. 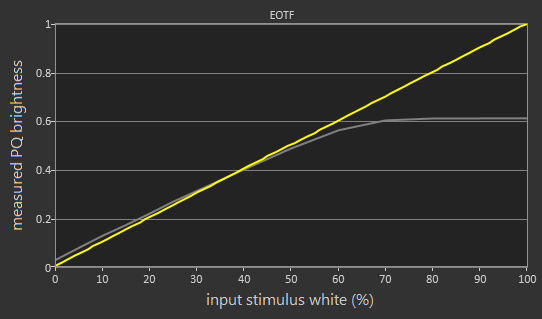 In this mode the TV's EOTF follows the PQ curve fairly well, though the slope of the line undershoots a bit. Adjusting the 'Gamma' setting to '+2' makes the EOTF follow the PQ curve more closely, as shown here. Even higher gamma would be better in bright rooms. 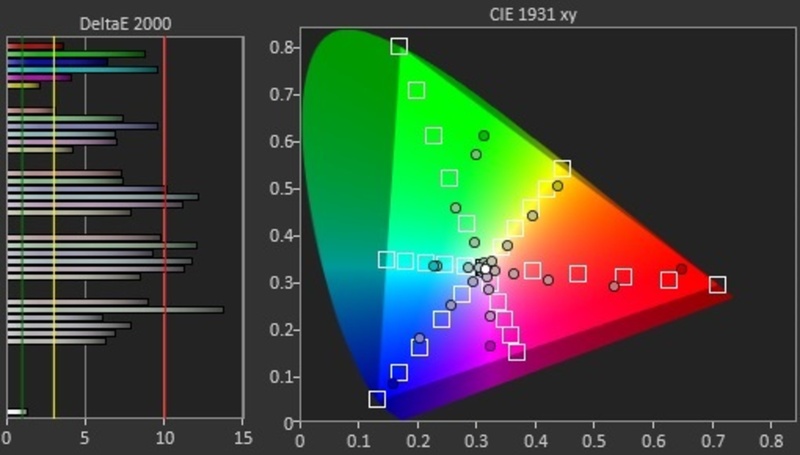 What it is: How many colors a TV can display at different luminosity levels. When it matters: HDR content. Includes some streaming videos, UHD Blu-rays and HDR games. Disappointing color volume, mostly limited by the TV's standard color gamut. The TV's black point is decent which helps at the bottom of the volume, but at the top, some saturated colors are not as bright as they should be. What it is: How finely levels of color can be displayed. When it matters: Details in shadows, sky and skin tones. Matters more for HDR content. 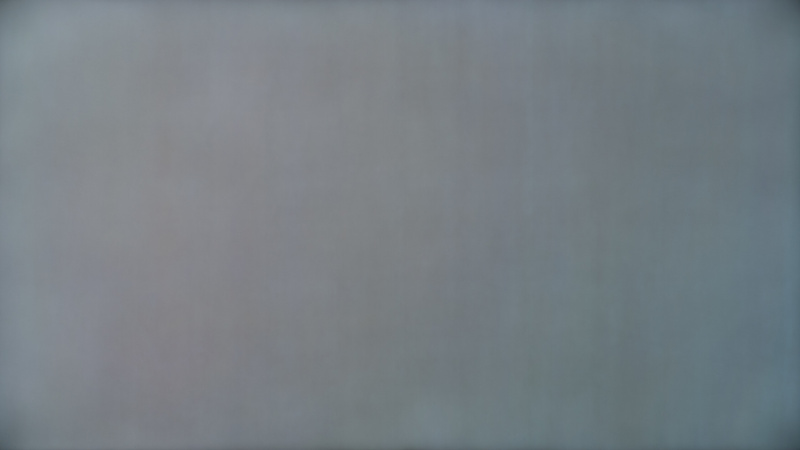 What it is: Number of bits per pixel to represent a specific color. 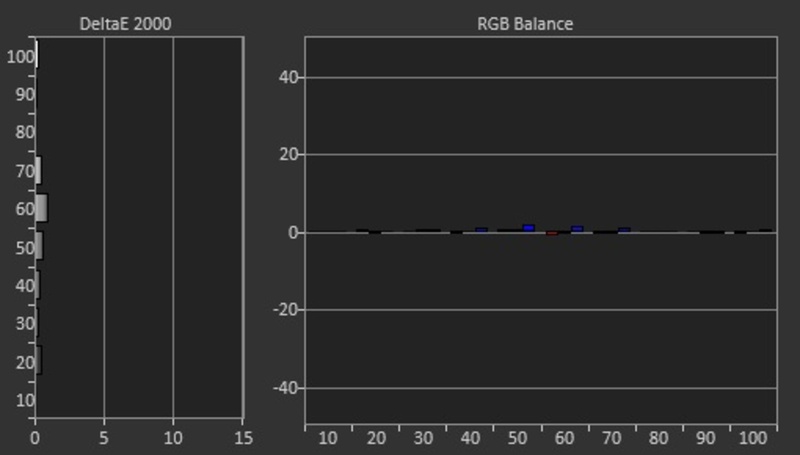 Note: we consider 8-bit with dithering to be equivalent to 10-bit, as long as the 10-bit gradient looks smooth. When it matters: HDR content like UHD Blu-ray players. Won't matter for cable TV, regular Blu-ray movies, video game consoles or content displayed from a Windows PC. Those are limited to 8-bit color. What it is: The standard deviation of the color differences (dE) between subsequent 10 bit red shades. When it matters: Details in skin tones, sunsets, and other reddish objects. Matters more for HDR content. What it is: The standard deviation of the color differences (dE) between subsequent 10 bit green shades. When it matters: Details in ocean shades and other greenish objects. Matters more for HDR content. What it is: The standard deviation of the color differences (dE) between subsequent 10 bit blue shades. When it matters: Details in skies, water and other blueish objects. Matters more for HDR content. 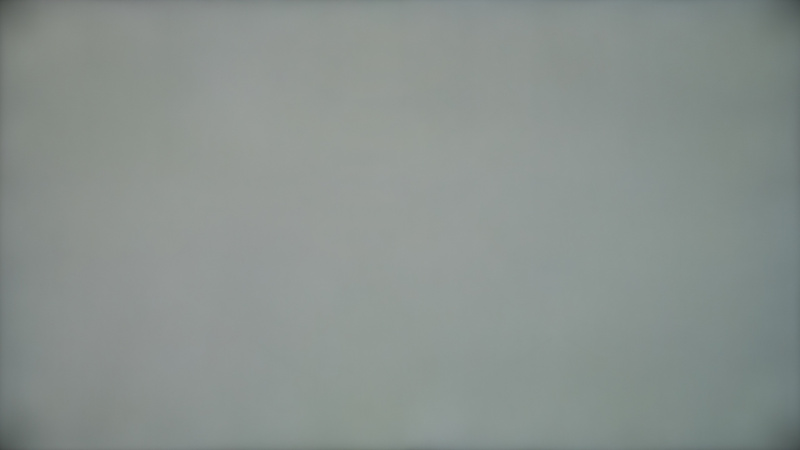 What it is: The standard deviation of the color differences (dE) between subsequent 10 bit gray shades. When it matters: Details in dull colors, such as shadows, glow and urban scenes. Matters more for HDR content. The Sony X690E is good at displaying our gradient test image. 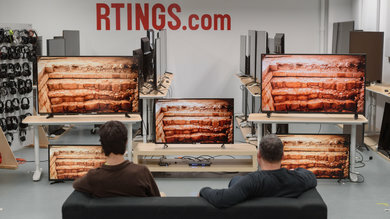 While analyzing our test picture taken of the gradient image, we could notice the regular banding normally seen on 8-bit TVs, but this is not a problem for TV shows, sports or standard SDR movies as all those are 8-bit content. Besides the 8-bit banding, some little shade inaccuracies can be noticed in the dark end of color, but this is not bad at all when compared to other TVs. We did watch some HDR movies on the X690E and were really surprised how well it could display HDR movies, even though we can see 8-bit banding in our gradient test. 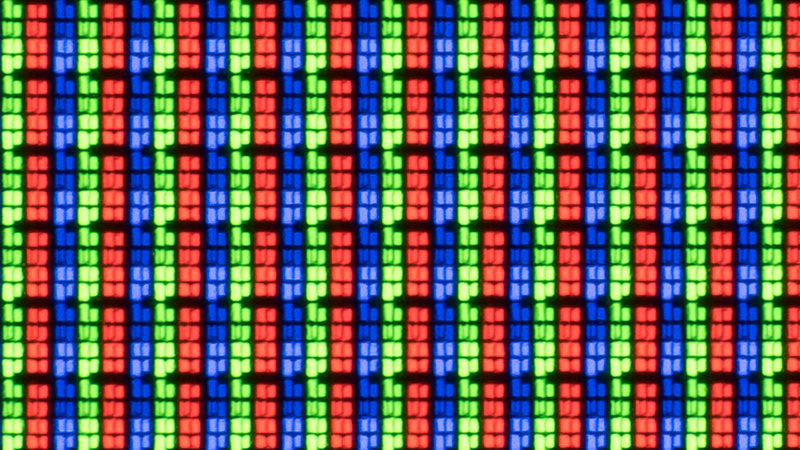 As you can see here, banding is visible, but we have seen 10-bit TVs with more banding than on the X690E. 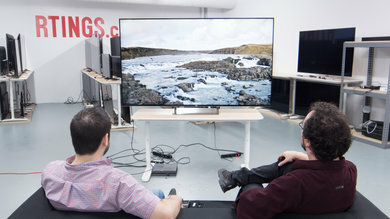 In the end, unless you are a professional looking for a TV to display some 10-bit extensive graphics with a computer, the Sony X690E should do a good job, in your home setup, with your SDR and HDR movies collection. What it is: How much a static image is retained on a TV screen after a certain amount of time. When it matters: When watching TV show, playing video games or when using your TV as a PC monitor. 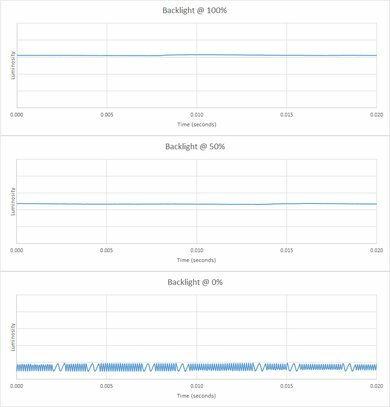 What it is: Image retention measured right after the static image exposure, without recovery time. When it matters: When changing channels while watching TV, right after changing the type of content (i.e. stopping playing video game to watch a movie) or changing input. Good value: 0 is perfect. What it is: Image retention measured after a recovery time of 2 minutes. What it is: Image retention measured after a recovery time of 4 minutes. What it is: Image retention measured after a recovery time of 6 minutes. What it is: Image retention measured after a recovery time of 8 minutes. 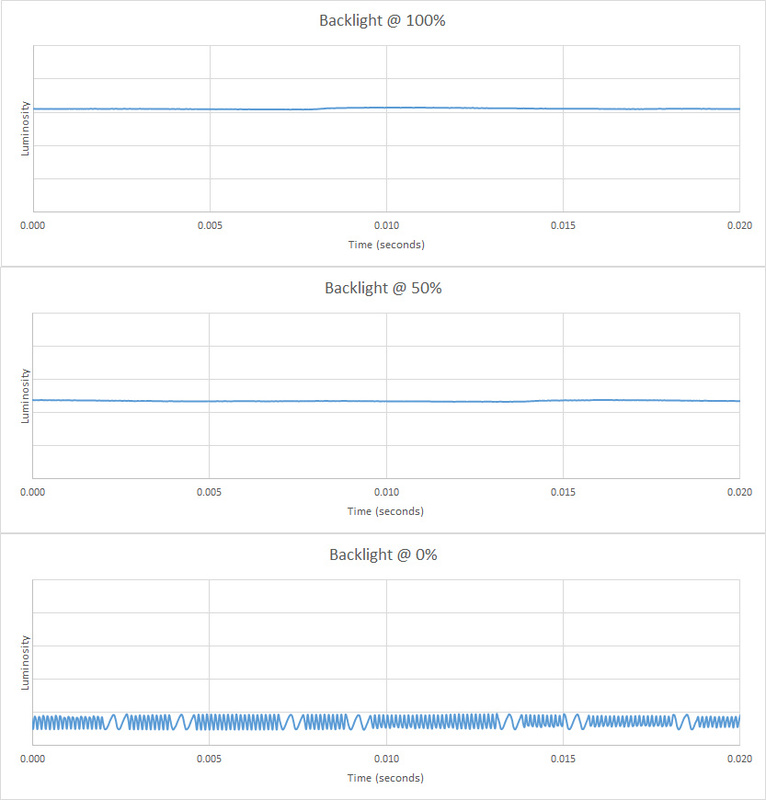 What it is: Image retention measured after a recovery time of 10 minutes. 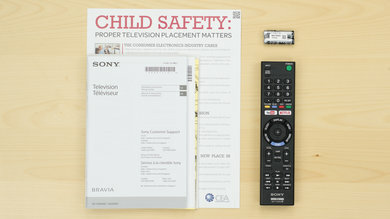 The Sony X690E VA TV does not present image retention at all, even right after the 10 minutes burn-in scene. This is in line with most VA TV tested before and should please those gamer out there who worry about image retention harming their TV. What it is: If the TV faces a risk of developing permanent burn-in after being expose, for a long period of time, to static images. When it matters: When watching TV shows with static logos or banners (news or sports channels), when playing video games with a HUD (head up display), and when using a TV as a PC monitors. We don't expect VA panels to experience permanent image retention, as the VA panel in our long-term test appears immune. Motion looks great on the X690E. The panel has a fast pixel response time and no flicker by default but can add 60 Hz flicker to greatly reduce persistence blur for those who don't mind flicker. Unfortunately, the TV's motion interpolation (soap opera effect) has a lot of artifacts and is best left off unless you really like the effect. The TV doesn't have 24p judder when watching movies from 24 Hz sources which is good, but can't remove judder from 60p or 60i sources. What it is: Amount of blur in fast motion. When it matters: Sports, video games. What it is: How quickly pixels can reach 80% of a full transition from one color to another. When it matters: Fast movement. What it is: How quickly pixels can fully transition from one color to another. Great response time, leading to only a very short trail following moving objects. This is great when watching fast-paced content. Most of the blur in the picture is due to image persistence. Many of the TV's transitions have overshoot, suggesting that the TV is using overdrive to improve response time. What it is: How noticeable flicker is on the screen, when all optional flicker has been disabled. When it matters: All usages, but particularly when viewing fast motion (such as in sports and video games) or when using the TV as a PC monitor. What it is: Whether the screen will be perceived as having no flicker during normal viewing conditions. When it matters: When flicker is especially bothersome, such as when using the TV as a PC monitor. What it is: The flicker frequency of the screen, when all optional flicker has been disabled. Good value: 0 Hz or very high frequencies (> 300 Hz). Frequencies that are multiples of 60Hz are better. Like most Sony TVs, the X690E's backlight doesn't flicker at all by default which is great. This completely eliminates the double image artifacts seen on TVs with PWM flicker dimming, but it does lead to persistence based motion blur because images are shown for a full frame. 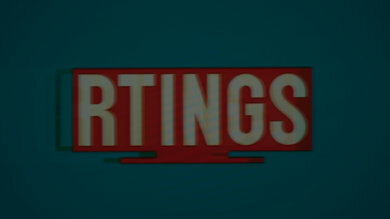 What it is: How effective the TV's flickering capabilities are in making motion look clearer, when flicker is desired. When it matters: When flicker is desired by the user. Flicker is especially useful to make motion look clearer when viewing 60 fps content (sports, video games) and when using motion interpolation. What it is: Option to turn the screen black between frames. 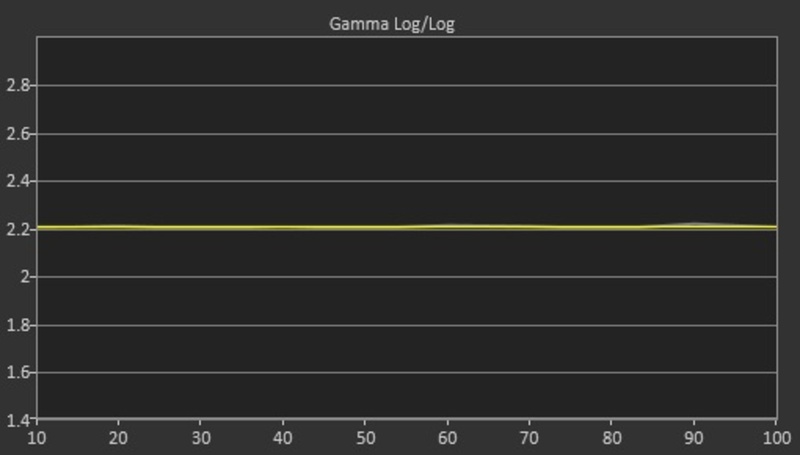 What it is: Lowest possible frequency of flickering pattern when playing 60 fps content. When it matters: When viewing fast motion such as sports and video games. What it is: Whether the screen can flicker at 60 Hz when playing 60 fps content. When it matters: When playing 60 fps content, such as sports and video games. What it is: Whether the screen can flicker at 120 Hz when playing 120 fps content. When it matters: When playing 120 fps content, such as when using motion interpolation on a 120 Hz TV. 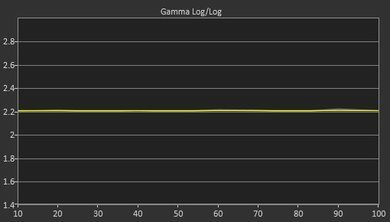 What it is: Lowest possible frequency of flickering pattern when playing 60 fps content in Game Mode. When it matters: When playing video games with fast motion. 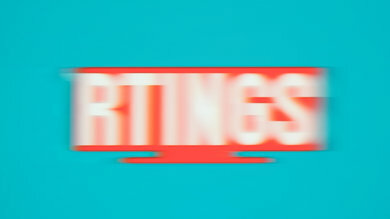 Turning on Black Frame Insertion (BFI) greatly reduces this persistence blur by showing images for only a short time, at the cost of adding 60 Hz flicker, which is annoying for some and greatly decreases the brightness. BFI is activated by increasing the 'Clearness' slider to max in the TV's 'Motionflow' settings, which are unfortunately unavailable in game mode. What it is: Also known as 'Soap Opera Effect'. It is an optional feature that increases the frame rate of the video, smoothing movement. When it matters: If you like the look of smoothed video. Not everyone does. 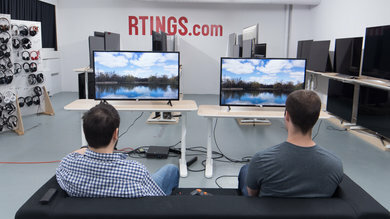 What it is: Whether the TV can take a 30 fps input and heighten the frame rate to at least 60 fps. When it matters: 30 fps or lower videos. Includes movies, TV shows, some video games. What it is: Whether the TV can take a 60 fps input and heighten the frame rate to at least 100 fps. When it matters: 60 fps videos. Includes some video games, some sports channels. The TV only has a 60 Hz panel, so its motion interpolation function (soap opera effect) can only interpolate content up to 60 fps. Motion interpolation on this TV doesn't work very well as it adds a lot of artifacts, even on a simple translation pattern like our test pattern. This appears to be a bug, but it may not be fixable by firmware. Motion interpolation is added by increasing the 'Smoothness' slider in the TV's 'Motionflow' settings. We recommend leaving it off because of its artifacts, or using low values of 'Smoothness'. This Sony TV is good at displaying content without stutter. Even for long panning shots in 24p movies, the response time helps to smooth the transition between frames and produce a smoother overall image. What it is: Whether 24p content can play without any judder. When it matters: Only 24p content (mostly just movies). What it is: Judder-free movies over 24p signal. When it matters: Blu-ray and DVD movies; 24 hz PC signal. What it is: Judder-free movies over 60p signal. When it matters: Movies from streaming devices (Apple TV, Fire TV, etc. ); 60 hz PC signal. What it is: Judder-free movies over 60i signal. When it matters: Movies from cable/satellite boxes. What it is: Judder-free movies when playing from native apps. When it matters: Movies from streaming native apps (Netflix, Amazon TV, etc.). The Sony X690E can display 24p movies without judder playing from 24p sources like DVD and Blu-rays players and this without the need to turn on any special feature at all. 24p movies playing from 60p and 60i sources do present judder and the X690E could not remove it, no matter what we tried. This is a similar result as the Sony X720E. 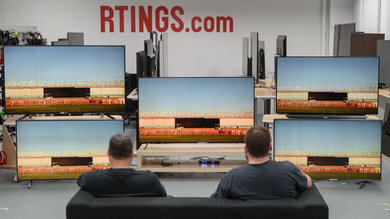 What it is: How frequently the TV can refresh and show new frames, and whether it can vary its refresh rate in real time using technologies like HDMI Forum's Variable Refresh Rate. When it matters: Mostly for gaming, but does provide a little better motion during normal usage. 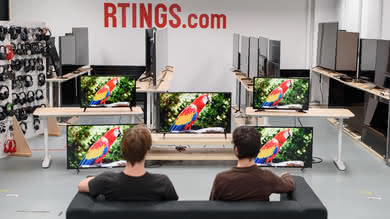 What it is: The out-of-the-box maximum refresh rate; how frequently the TV can refresh and show new frames. 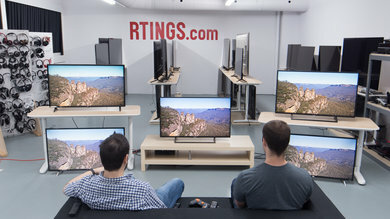 When it matters: When playing content with a frame rate that matches the TV's refresh rate (ex. 60 fps on a 60 Hz TV, 120 fps on a 120 Hz TV), or when using the TV's motion interpolation feature (soap opera effect). 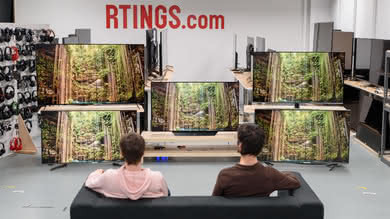 What it is: Feature that allows the TV to synchronize its refresh rate with the input device's output and reduces stuttering and screen tearing. When it matters: Almost every usage, but is most noticeable when gaming where constant fluctuation in framerate cause distracting artifacts. What it is: The maximum frequency covered by the Variable Refresh Rate feature of the TV when the input signal is 4k. When it matters: Any time the VRR feature is enabled and 4k is sent. Good value: Matches maximum refresh rate at 4k. What it is: The lowest frequency covered by the TV's Variable Refresh Rate feature when the input signal is 4k. When it matters: When using the VRR feature of the TV at lower frame rates when sending a 4k signal. What it is: The maximum frequency covered by the Variable Refresh Rate feature of the TV when the input signal is 1080p. When it matters: Any time the VRR feature is enabled and 1080p is sent. Good value: Matches maximum refresh rate at 1080p. What it is: The lowest frequency covered by the TV's Variable Refresh Rate feature when the input signal is 1080p. When it matters: When using the VRR feature of the TV at lower frame rates when sending a 1080p signal. When it matters: When gaming with different consoles or graphics cards. 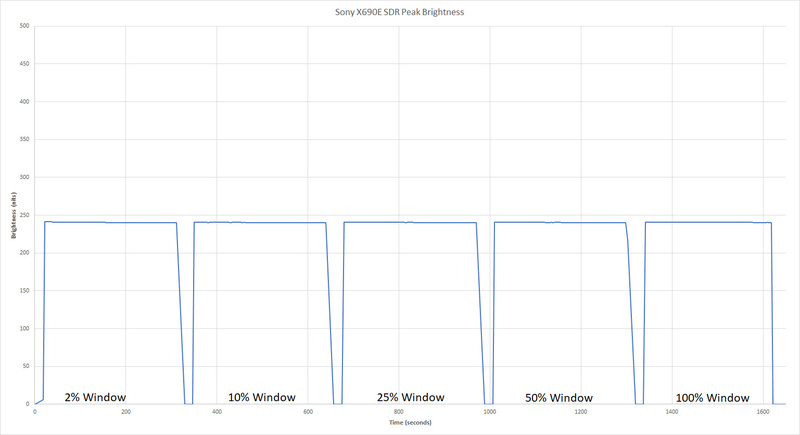 The Sony X690E doesn't support a variable refresh rate. It has a native 60Hz panel. The X690E can properly display almost any content, including HDR. It has excellent low input lag, which should please all but the most competitive gamers. However, it has a bug where low input lag is not preserved when the TV is turned off and back on, the user must switch out and back into game mode to get low input lag. 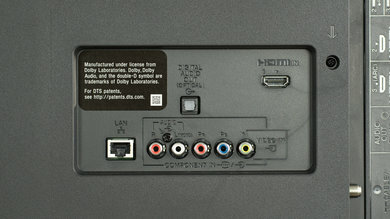 Note: Only HDMI ports 2 & 3 support full bandwidth, but HDMI port 3 is also the audio return channel. If you have a receiver which supports ARC and more than 1 device which requires the full bandwidth of HDMI then you might have some issues connecting all of your devices. In this case it may be best to connect your receiver using an optical (Toslink) cable. What it is: Delay between input and onscreen reaction. 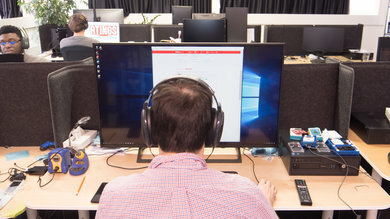 When it matters: Video games; when TV is used as PC monitor. What it is: Lowest input lag possible on TV with a 1080p @ 60Hz @ 4:2:2 input. When it matters: Video games and also when TV is used as PC monitor. What it is: Lowest input lag possible on the TV when displaying 1080p @ 60Hz @ 4:2:2 @ 10 bit with HDR. When it matters: HDR video games from a console outputting a 1080p signal. What it is: Lowest input lag possible on the TV when displaying 1080p @ 60Hz @ 4:2:2 in a fully featured picture mode. 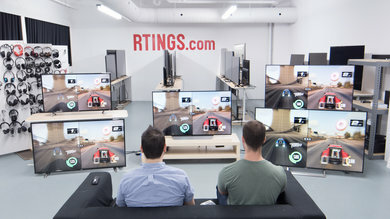 When it matters: For playing video games while retaining access to all features of the TV. What it is: Lowest input lag possible on TV with a 1080p @ 120Hz input. When it matters: When the TV is used as PC monitor. What it is: Lowest input lag possible on TV when displaying 4k @ 60Hz @ 4:2:0. What it is: Lowest input lag possible when displaying 4k @ 60Hz @ 4:2:0 @ 10 bit signal with HDR. When it matters: HDR Video games. What it is: Lowest input lag possible on the TV when displaying 4k @ 60Hz with proper 4:4:4 chroma subsampling. 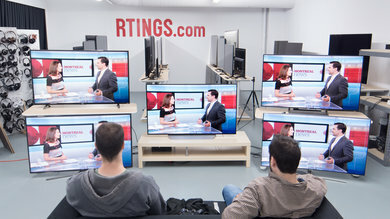 The test is usually conducted with a 4k @ 60 Hz @ 4:4:4 signal, but a 4k @ 60 Hz @ Full RGB signal may be used if it's required for the TV to show proper 4:4:4 chroma subsampling. What it is: Lowest input lag possible on the TV when displaying 4k @ 60Hz @ 8 bit + HDR with proper 4:4:4 chroma subsampling. 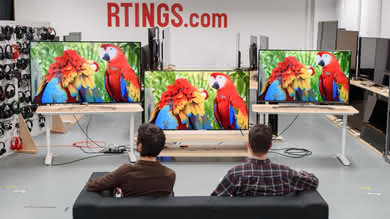 The test is usually conducted with a 4k @ 60 Hz @ 4:4:4 @ 8 bit signal, but a 4k @ 60 Hz @ Full RGB @ 8 bit signal may be used if it's required for the TV to show proper 4:4:4 chroma subsampling. What it is: Lowest input lag possible on the TV when displaying 4k @ 60Hz @ 4:2:0 in a fully featured picture mode. What it is: Lowest input lag for 4k @ 60 Hz @ 4:2:0 content when the motion interpolation feature is turned on. When it matters: When you want to play video games with the Soap Opera Effect enabled. What it is: Lowest input lag possible on TV with a 4k @ 120Hz input. What it is: Lowest input lag possible on the TV when its Variable Refresh Rate feature is enabled and it is sent a 4k signal. When it matters: When gaming with a device which supports variable refresh rates, such as the Xbox One X or a PC. What it is: Lowest input lag possible on the TV when its Variable Refresh Rate feature is enabled and it is sent a 1080p signal. Excellent input lag, which should please all but the most competitive gamers. Both game and graphics modes have the same input lag and show 4:4:4 color properly, but neither shows HDR content properly. The HDR 'Scene Select' is the only one that shows HDR properly, and it has low input lag as long as 'Motionflow' is turned off, but it does not show 4:4:4 color properly. 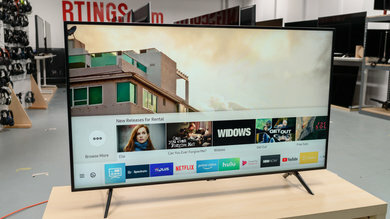 Overall, the input lag is similar to the Sony X720E and most Samsung TVs, far better than most other Sony TVs, but not as good as many LG and TCL TVs like the S405. The TV, unfortunately, has a major bug: when in a low input lag 'Scene Select' (Game, Graphics, HDR), low input lag and 4:4:4 support are not preserved when the TV is turned off and back on. The only way to get it back is to switch to a different 'Scene Select' and then back to the low input lag one. It is unknown if a future firmware update will fix this issue. Update 01/23/2017: With the newest firmware update (04.100) the input lag bug no longer occurs, and the input lag is low in 'Game' or 'Graphics' mode after power cycling the TV. What it is: Different resolutions supported by TV. 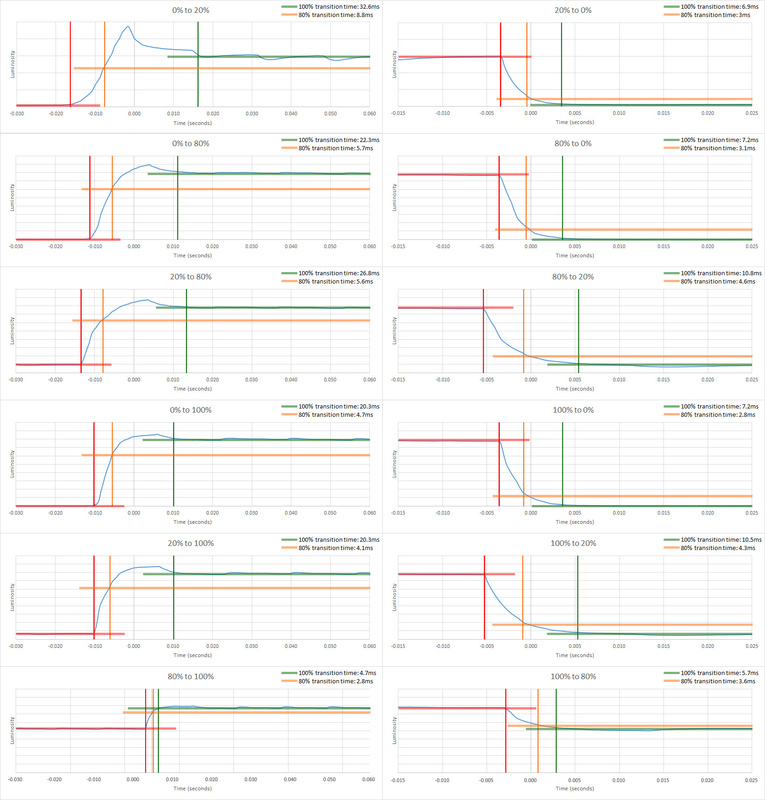 When it matters: PC monitor usage. What it is: Crisp text on 1080p @ 60 hz signal. When it matters: PC productivity and 60 fps gaming. What it is: 120 fps 1080p signal supported. When it matters: PC gaming. What it is: 60 fps 1440p signal supported. When it matters: PC productivity and gaming. What it is: Crisp text on 4k @ 30 hz signal. What it is: 60 fps 4k signal supported. What it is: Crisp text on 4k @ 60 hz signal. 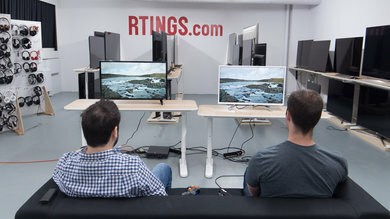 When it matters: Productivity and 60 fps gaming in 4k. Most common resolutions are supported. 4:4:4 color is only shown properly in the Game and Graphics 'Scene Select' modes, and HDR content is only shown properly in the HDR mode (but not proper 4:4:4). The Auto 'Scene Select' should switch to HDR when it detects HDR metadata. 4k @ 60 Hz @ 4:4:4 or 4:2:2 color is only supported on HDMI inputs 2 and 3, and only when 'HDMI Signal Format' is set to 'Enhanced' for the port in use. Also, in Graphics mode the 1080p upscaling is very crude, merely mapping one 1080p pixel to four 4k pixels. This makes the image sharper but also more jagged. 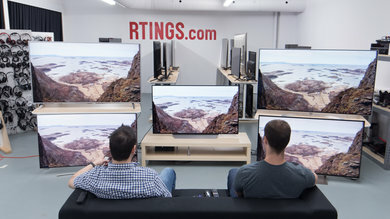 This behavior is the same as on the Sony X900E, shown here. Graphics mode also completely disables the TV's CE dimming when very dark content is shown on screen. The TV, unfortunately, has a major bug: when in a low input lag 'Scene Select' (Game, Graphics, HDR), low input lag and proper 4:4:4 support are not preserved when the TV is turned off and back on. The only way to get them back is to switch to a different 'Scene Select' and then back to the low input lag one. It is unknown if a future firmware update will fix this issue. What it is: Standard HDR format. When it matters: Most common format. All UHD Blu-ray discs are required to have it. What it is: Better format, due to its dynamic nature. When it matters: Dolby Vision mastered content. Current available from streaming services (Netflix, Amazon Video), some Blu-Ray players, the Apple TV 4k and ChromeCast Ultra. 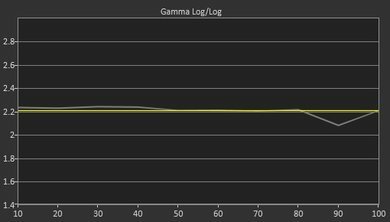 What it is: HLG or Hybrid Log Gamma is a broadcast HDR format. When it matters: HLG capable sources such as Youtube or OTA broadcasts in specific regions. Backwards compatible with SDR TVs. What it is: Optional 3D video capability on TV. When it matters: 3D movies & videos. 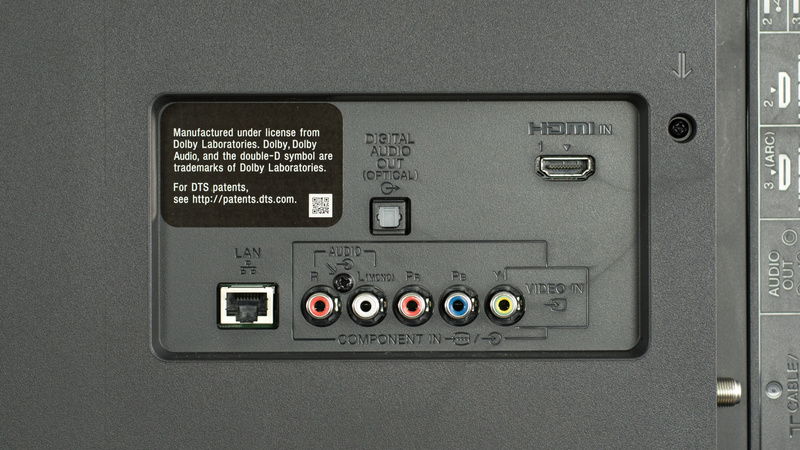 What it is: TV can receive and pass Dolby Digital 5.1 signal to receiver via HDMI ARC. When it matters: 5.1 audio on DVDs, Blu-rays and video games. What it is: TV can receive and pass DTS 5.1 signal to receiver via HDMI ARC. What it is: TV can receive and pass Dolby Digital signal to receiver via digital optical. What it is: TV can receive and pass DTS signal to receiver via digital optical. What it is: HDMI 2.0 is the main used HDMI standard and supports a range of video resolutions and refresh rates up to 4k@60Hz, with a total maximum bandwidth up to 18Gbps. What it is: HDMI 2.1 is the latest update to the HDMI standard and supports a range of higher video resolutions and refresh rates including 8K60 and 4K120, and resolutions up to 10K. Dynamic HDR formats are also supported, and bandwidth capability is increased up to 48Gbps. 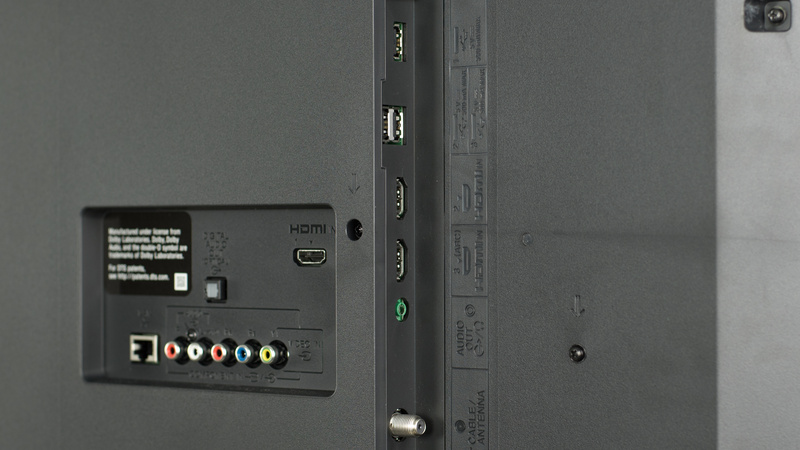 What it is: Audio Return Channel (ARC) enables a TV to transmit, via an HDMI cable, audio data to an A/V receiver, without the need for any extra audio cables. 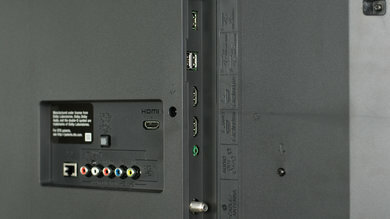 When it matters: When connecting your audio/video receiver directly to your TV via an HDMI cable. What it is: USB 3.0 is the latest USB standard which can transfer data up to 5 Gbit/s, and is easily recognizable due to its blue color-coding of the connector. HDR content is only displayed properly in the HDR 'Scene Select'; in any other mode the TV uses the SDR gamma curve rather than the HDR PQ curve. The Auto 'Scene Select' should switch to HDR when it detects HDR metadata. What it is: How well and accurately the audio is reproduced. 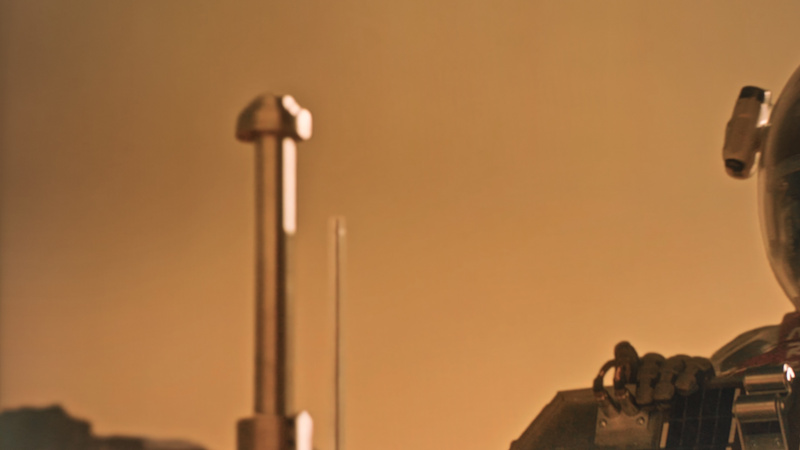 When it matters: When a good and accurate sound reproduction is needed. The Sony X690E sound capabilities are average. The TV doesn't provide a particularly good sound, but it also doesn't have a very big downside that renders it less usable. Nevertheless, a dedicated soundbar will offer a significant upgrade in sound quality. What it is: How accurately the sound level of each frequency is being produced. When it matters: For a balanced and neutral sound. When it matters: Movies, Gaming. Shows how extended the bass is. What it is: The amount of deviation (weighted standard deviation) in frequency response measured at 70dB SPL, as compared to a target response that would sound perfectly balanced to most people. What it is: The amount of deviation (weighted standard deviation) in frequency response measured at 80dB SPL, as compared to a target response that would sound perfectly balanced to most people. What it is: The amount of deviation (weighted standard deviation) in frequency response measured with the TV at maximum volume, as compared to a target response that would sound perfectly balanced to most people. When it matters: For listening to loud audio. What it is: The amount of difference between the TVs frequency response performance at 70dB SPL and Max dB SPL. Too much compression will result in pumping in the sound. Passable frequency response. Unlike most TVs we've tested, the X690E doesn't have a significant overemphasis on lower frequencies, but it still features a downwards tilt that causes the treble response to be a bit under-represented. Its low-frequency extension is quite poor, making it sound a bit thin. What it is: Deformation of an output signal compared to its input, usually clipping, harmonic distortion, or inter-modulation distortion caused by non-linear behavior of the sound system. When it matters: When a clean, pure and transparent reproduction is desired. What it is: The overall amount of harmonic distortion measured at 80dB SPL. To make the score more perceptually relevant, more weight is given to the higher frequencies. What it is: The overall amount of harmonic distortion measured at the TV's maximum SPL. To make the score more perceptually relevant, more weight is given to the higher frequencies. Passable distortion performance. THD and IMD levels are relatively low at lower volumes but skyrocket when the TV's speakers are pushed to their maximum. While rattling and overall distortion is noticeable at peak output, it shouldn't be an issue at more common levels. 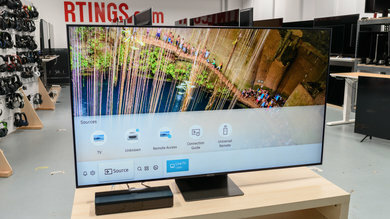 The X690E runs a custom Sony operating system like the X720E but unlike most other Sony TVs, which use Android TV. This custom OS isn't very good as it has a somewhat confusing interface and an app store with poor selection, though it does come with Netflix, YouTube and Amazon Video out of the box. 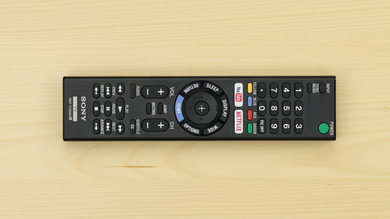 The TV's remote is very large and has lots of buttons like most other Sony remotes, but lacks the voice search of Sony's higher end models. What it is: The usability, features and performance of the main interface of the TV, not including the interfaces of the apps themselves. When it matters: Anytime when using the TV, but especially when changing settings and using apps. What it is: How easy the interface is to navigate, affected by the organization of its layout, placing frequently accessed elements in areas that are faster to access, etc. When it matters: When using the smart features. What it is: How smooth the interface is to navigate, affected by lag and frame drops. What it is: How long it takes to select YouTube for launch, starting from HDMI 1 input, when YouTube is placed first on the list of apps or added as a shortcut. This does not include app launch time, and does not use a fixed YouTube button on a remote. This serves as an indication of the time needed to select any app. When it matters: When launching any app. What it is: The time it takes to navigate to the 'Backlight' setting ('Brightness' on Sony TVs). This serves as an indication of how long it takes to navigate to basic TV settings. When it matters: When changing TV settings. What it is: Whether advanced options and settings are available, such as color calibration. When it matters: When customizing the TV and using the smart features. The TV's interface is far more basic than most other smart platforms. It has no animations but is very fast when navigating menus, which is great. However, the interface isn't very well laid out, making navigation confusing sometimes. This is especially true for the picture settings menus: there is a 'Picture Options' setting listed high on the Options menu and a 'Scene Select' setting listed low on the menu, yet 'Scene Select' completely changes the options in 'Picture Options'. HDR content is only shown properly in the HDR 'Scene Select', so if a user activates another 'Scene Select' (besides Auto) for SDR then decides to play HDR content, HDR won't be shown properly and the user won't be warned that this is the case. All this can lead to a very confusing experience for users who aren't familiar with this interface. What it is: Whether or not ads can be found on the TV's smart platform. What it is: Whether the TV's main interface has ads. This does take into account ads in third-party apps. What it is: Whether you can opt out of the ad services or not. A TV only passes this test if it allows you to remove them completely, not only disable the personalized advertising. What it is: Whether suggested content appears in the TV's home menu or main menu. Suggested content can include recommended movies, TV shows, YouTube videos etc. The TV has no ads in its main interface and does not show suggested content in its home menu, which is great. What it is: The usability, features and performance of apps and other smart features. When it matters: Only when using smart features such as apps, casting and USB playback. What it is: The number and variety of apps available to download for the smart platform. When it matters: When downloading new apps. What it is: How smooth it feels to navigate the interfaces of apps, affected by lag and frame drops. When it matters: When using apps. What it is: Whether apps on a phone or tablet can cast content to the TV. What it is: Whether the TV can play content from a drive connected to one of the TV's USB ports. What it is: Whether HDR files played from a USB drive can be displayed properly. What it is: Whether HDR content on Netflix can be played back in HDR using the native Netflix app. What it is: Whether HDR content on Amazon Video can be played in HDR using the native Amazon Video app. What it is: Whether HDR content on YouTube can be played in HDR using the native YouTube app. The TV comes with a few popular apps preinstalled, such as Netflix, YouTube and Amazon Video. More apps can be downloaded from the Opera TV app store, which unfortunately doesn't have a great selection of apps. 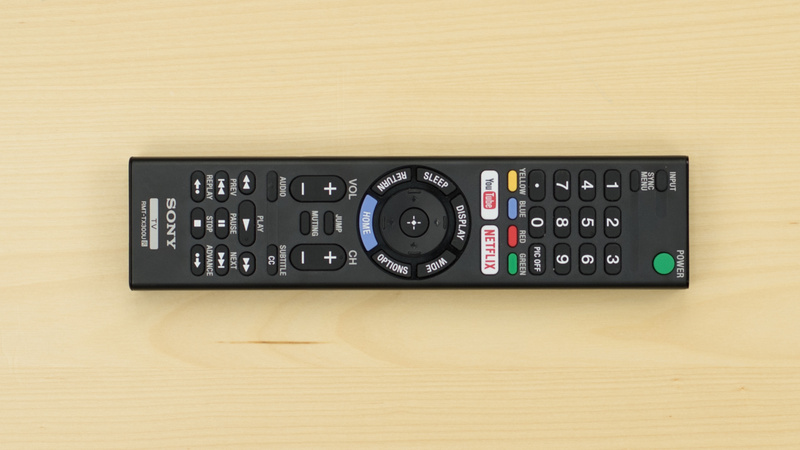 What it is: The usability and features of the TV's physical remote. What it is: Whether the remote can act as a universal remote for HDMI CEC enabled devices. This was tested on our Samsung UBD-K8500 4K Blu-ray player, and may not be valid for other CEC devices as implementations vary by manufacturer. What it is: Whether the remote has any other smart features, such as a pointer, universal remote support for non HDMI CEC devices, etc. The X690E's remote is very large and has a lot of buttons, but is relatively light for its size which is good. 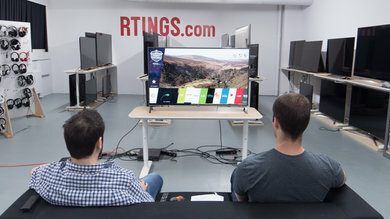 It is very similar to the remotes of the X720E and X800E, but not as good as the remotes of higher-end Sony TVs like the X900E: its buttons are individual rubber chunks rather than one continuous surface, and it lacks a microphone for voice search. What it is: The features of the official phone and tablet app for the TV. What it is: Whether the remote app can emulate all the buttons of the physical remote. 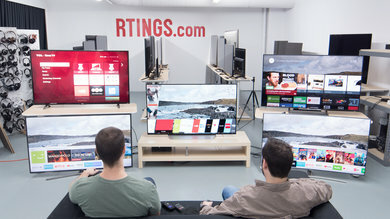 What it is: Whether the remote app can directly launch the TV's apps and change between its inputs, without requiring any interaction with menus on the TV. What it is: Whether the remote app can enter text for YouTube searches. What it is: Whether the remote app can enter text for Netflix searches. What it is: Whether the remote app can stream files from the phone or tablet to the TV, files such as pictures, music and video. What it is: Whether the app can change all or some of the settings on the TV, such as the backlight. What it is: Whether the remote can send voice commands to the TV. The TV does not have a companion app (the Sony app doesn't work with it). It does have a 'Photo Sharing Plus' feature but it's fairly limited and not easy to use. The TV creates a Wifi direct network that a device can connect to, then lists an address with a web app the linked device can access with a web browser. 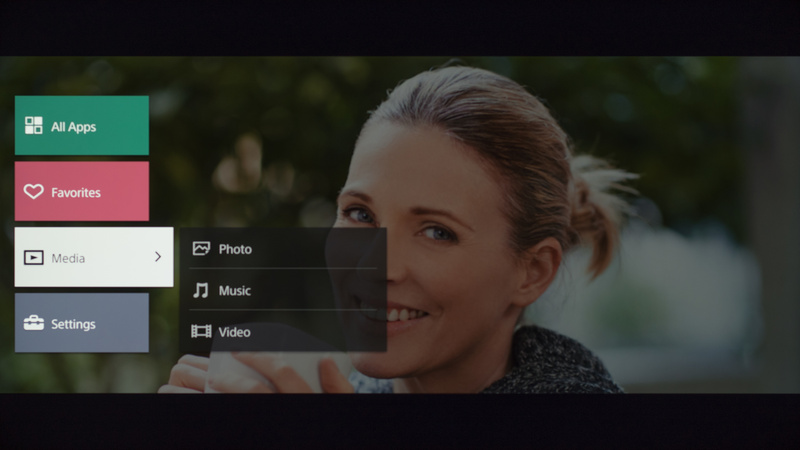 Photos and music uploaded to the web app can be played on the TV. One inconvenience of this system is that the device used must disconnect from other Wifi networks to connect to the TV's direct network, which is annoying. The TV has three physical buttons. They bring up a menu when pressed. The center button cycles between functions (input, volume) while the up and down buttons increment the function. 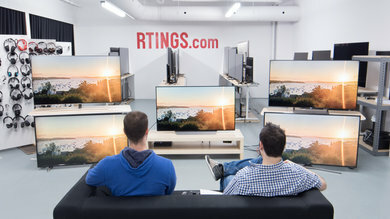 The TV powers on when the center button is pressed, and powers off when the center button is held for five seconds. 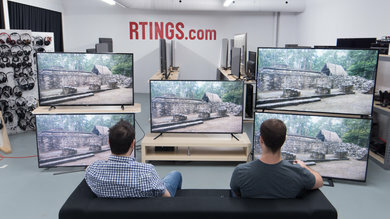 We tested the 60" (KD60X690E). 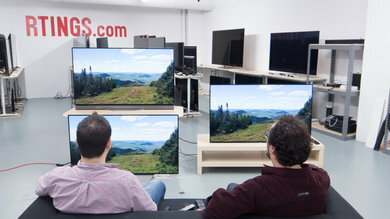 For the most part, we expect our review to be valid for the 70" (KD70X690E) as well. If someone comes across a different type of panel or if their Sony X690E doesn't correspond to our review, let us know and we will update the review. Top left: Samsung MU6300 (UN55MU6300). 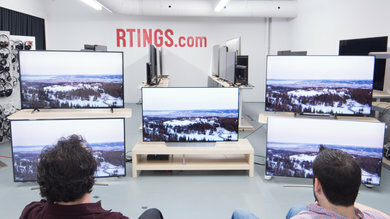 Bottom left: Sony X720E (KD43X720E). 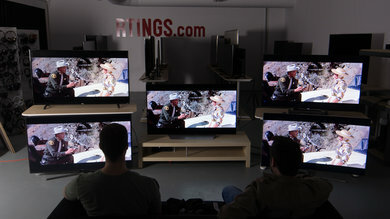 Middle: Sony X690E (KD60X690E). Top right: Vizio E Series 2017 (E65-E1). 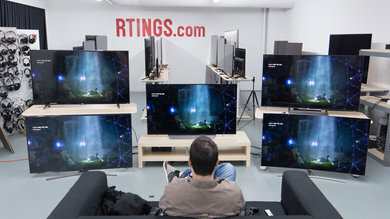 Bottom right: TCL S405 (43S405). Unlike our other photographs, this picture wasn't taken under a controlled environment, so do not draw conclusions from it. The Sony X690E is a good entry-level 4K LED TV that offers better than average picture quality for its price. 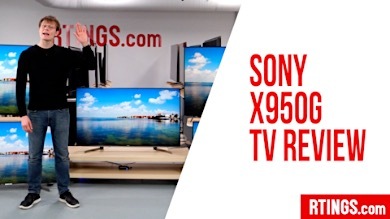 It doesn't have very good smart features but its a competitively priced TV, especially for the larger sizes it is available at. 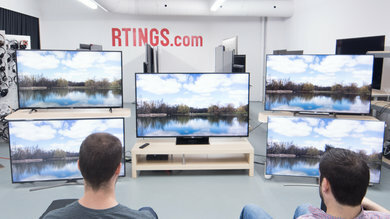 40" 43" 50" 55" 58" 65" 75"
The Samsung NU7100 and the Sony X690E have very similar performance. The Sony X690E has a faster response time and thus a smaller blur trail in fast action sports. The Samsung, on the other hand, has lower input lag and is very responsive when you play video games or use the TV as a PC monitor. 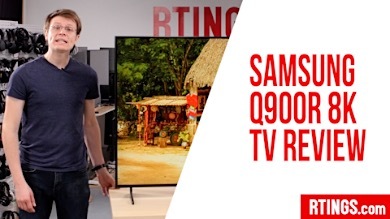 The Samsung NU7100 also has better blacks due to the higher native contrast ratio and better black uniformity, and this matters if you watch movies in a dark room. 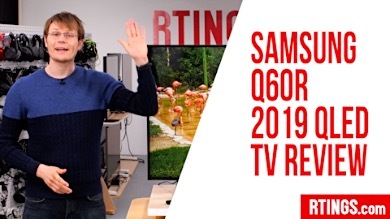 Finally, the Samsung NU7100 is brighter, which is great if you watch TV shows in a bright room. The Sony X690E is a bit better than the Sony X720E for most users, unless you have a wide seating arrangement. 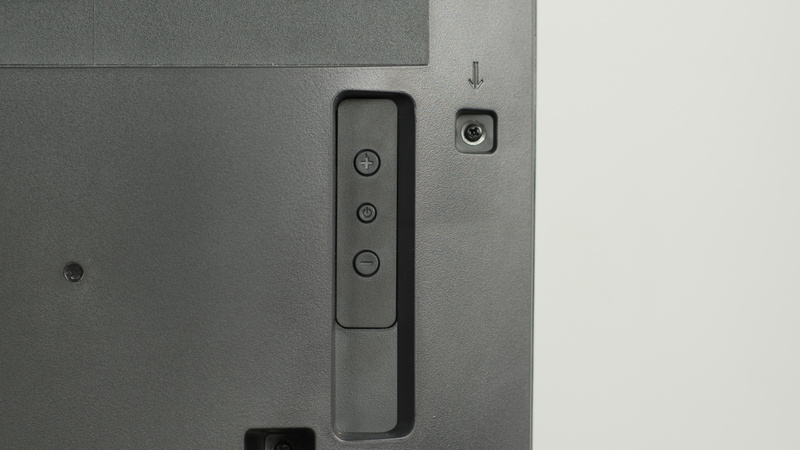 The X690E uses a VA panel, which performs better in a dark room thanks to the better contrast ratio and much better black uniformity. The X690E also has better reflection handling and a faster response time. The X720E uses an IPS panel which has much wider viewing angles and is a bit brighter. 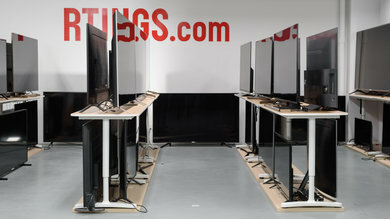 40" 43" 50" 55" 65" 75"
The Samsung MU6300 and the Sony X690E have very similar performance. The Sony X690E has a faster response time which is great for fast content and can remove 24p judder from movies. The Samsung MU6300, on the other hand, has a better native contrast ratio that helps it show better blacks while watching movies in a dark room. Finally, the Samsung MU6300 can get slightly brighter and is more suitable for brighter rooms. The Sony X850E is better than the Sony X690E. 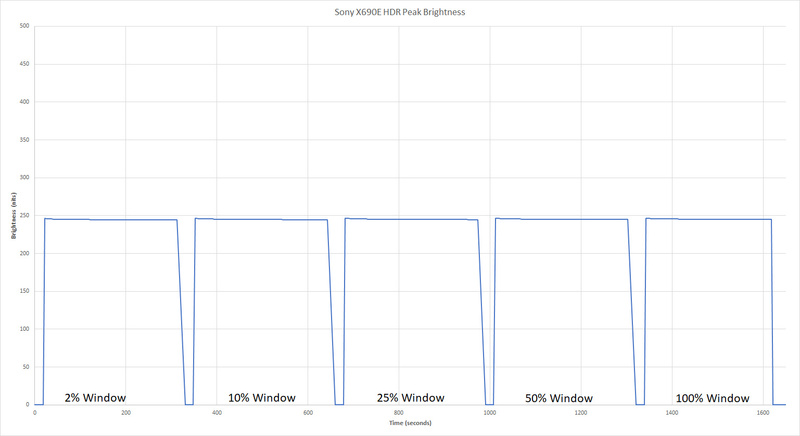 The Sony X850E has better HDR performance due to better color gamut and better color volume. It can get brighter both in HDR and in SDR and is more suitable for a brighter room. The Sony X850E has better reflection handling, smart features, and motion interpolation support, which is great for those who watch TV shows. On the other hand, the Sony X690E is more responsive as it has lower input lag that makes more suitable for playing video games. The Sony X690E is a good TV for a mixed usage. It has a better than average picture quality, very low input lag for gaming and great handling of motion. Unfortunately, its simplistic smart features might not please all, and its narrow viewing angle means it's only suitable for watching directly in front. Decent TV for movies in a dark room. The Sony X690E produces uniform blacks thanks to its great contrast ratio, which helps keep letterboxes clean and free of blooming. Unfortunately, it lacks a local dimming feature to further enhance the depth of the picture. Decent TV shows performance. The TV's decent picture quality and brightness make it a better than average choice for watching broadcast or online content. It's not the best at handling reflections though and its elementary smart features might be a little limiting for some. The Sony X690E does better than average for watching sports. It has a good screen uniformity, which helps keep fields and ice rinks looking clean. Unfortunately, it's not great when viewed from an angle, making it less useful for wider living rooms. Great TV for playing video games. The Sony X690E's very low input lag and low motion blur make it a great choice for gaming. Games feel responsive and look very fluid and clear. Unfortunately, its backlight flicker function cannot be enabled in game mode. Mediocre HDR performance. While the Sony X690E does have some basic HDR support, its capabilities stop it from offering any picture quality enhancement with HDR content. While its HDR capabilities are limited, the X690E's input lag and overall gaming experience does not deteriorate with an HDR input. Good TV for a PC monitor. It supports the most important resolutions, and its low input lag and motion blur keep it responsive and enjoyable to use with a mouse. Unfortunately, its narrow viewing angle means that sitting too close to it will often cause darkening and other deterioration on the edges of the screen.